Hyperacidity simply means an increased level of acid in the stomach. It is referred as Amla Pitta in Ayurveda. The aggravated Pitta impairs the digestive fire, leading to improper digestion of food and production of ama (toxins). This ama gets accumulated in the digestive channels and causes hyperacidity. 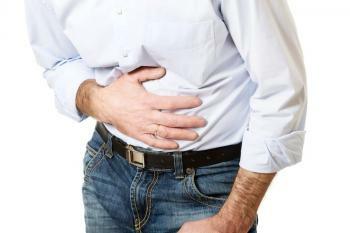 It is one of the most common gastric problems faced by people. It can strike at any time and any place. The symptoms of hyperacidity include bloating, sour feeling in the food passage, flatulence, chest pain, burning pain etc. The stomach secretes hydrochloric acid, a digestive juice that breaks down food particles into their smallest form to aid digestion. When there is an excessive amount of hydrochloric acid in the stomach, the condition is known as hyperacidity. • Eating in a state of indigestion. • Staying awake late during night. • Excessive stress, anger and hunger. • Sleeping in the daytime after meals. • Suppressing urges of urination and stool. • Excessively sour or spicy food and liquids. • Excessive consumption of tea, coffee and alcohol. • Excessive exposure to sun and heat and gastro-duodenal ulcer. • Eating foods that do not suit the constitution or foods that should not be taken together (milk and fish, milk and salt). The Ayurvedic treatment of hyperacidity is focused on pacifying the aggravated Pitta Dosha. The herbs administered eliminate toxins from the body and cleanse the channels and enhances the digestive fire, leading to better digestion. Bananas are extremely beneficial for gut health. They are rich in potassium and increase the production of mucus in the stomach preventing excess acid formation and bouts of acidity. It has properties that stimulate the production of saliva which helps in better digestion, improves metabolism and relieves gas and other gastric troubles. Chew a few seeds of jeera to relieve acidity or boil it in water and drink the solution when it has cooled down. Milk has a high amount of calcium that helps prevent acid build up and absorbs the excess acid produced thereby reducing the symptoms of acidity. The fact that it is cold also provides instant relief from the burning sensation one feels during acid reflux. But while drinking it, don't mix any additives like sugar. Clove embraces calmative properties and helps improve peristalsis that is the movement of food down the stomach. Chew a clove once so that the juice is released and then keep it in the mouth. The slowly released juice will immediately lower acid reflux and give prompt relief. Tulsi leaves help stimulate the stomach to produce more mucous, have anti-ulcer properties and reduce the effect of gastric acids. Chewing on five to six tulsi leaves when suffer from acidity is a great way to beat the discomfort caused due to hyperacidity. Have one teaspoon of amla powder twice a day to help keep acidity at bay. Amla is a kapha and pitta pacifier apart from having high amounts of vitamin C that helps in healing the injured food pipe and stomach. Chop some mint leaves, add them to a pot of boiling water and drink the liquid after it cools. Mint helps in lowering the acid content of the stomach and improves digestion. It also has a cooling effect which helps to reduce the pain and burning associated with acid reflux. For relief from acidity, chew a small piece of ginger or boil it in water and drink the decoction. Another remedy is to crush ginger, mix it with a small piece of jaggery and keep sucking on. It allows the juice to slowly reach the stomach. Ginger is known to improve digestion and aid in better absorption and assimilation of essential nutrients. It also protects the stomach against ulcers by promoting mucus secretion and reducing the effect of the acid on the stomach. To relieve acidity crush two pods of cardamom. Boil the powder in water and drink the cooled juice for instant relief. Known to balance all the three doshas viz kapha, pitta and vata, elaichi is known to stimulate digestion and relieve stomach spasms. Having a dose of 300 to 500 ml twice a day is the best and quick relieving home remedy for the acid reflux and heartburn. • Avoid tea, coffee and carbonated or alcoholic beverages. • Avoid processed and fermented food. • Avoid using garlic, ginger, onions, tomatoes, and vinegar in cooking. • Avoid rich gravies, sour, salty and spicy food. • Curd should be strictly avoided at night. • Take meals in a relaxed atmosphere at regular intervals. • Practise Yoga and Pranayama such as Vajrasana, Bhujangasana, Salabhasana, Bhastrika Pranayama, Shitali Pranayama and Shitkari Pranayama. When the hydrochloric acid present in stomach is released in excess, it starts affecting the inner lining of stomach causing hyperacidity. Consumption of basil leaves soothes the inflammed stomach lining due to excess acid production. It bears anti ulcer properties. Mint leaves are one of the best coolants and thus help reduce the burning pain in hyperacidity. They also help lower acid content of stomach. Adoption of healthy lifestyle and preventing measures one can get rid of this burning issue and the complications related to it. • Stiffness in the stomach. • Take powder of roasted cumin and coriander seeds (25 gm each) and mix with 50 gm of sugar. Take half spoon of it 3 times a day to get rid of hyperacidity. • Make a powdered mixture of equal parts of rock candy (or unrefined sugar), fennel, and green cardamom. Whenever feel heartburn, mix 1 teaspoon of the mixture in a glass of cold milk and drink. • Mix equal parts of powdered fennel, licorice root, basil leaves and coriander seeds and take ½ teaspoon of this mixture with water before lunch and dinner. • Be careful about the medicines taking since long time. • Don’t lie down soon after meals. • Keep moderate meal portion.